Active Computer Services is the exclusive distributor of Clauss products and devices in the US and Canada. RODEON ForensiScan and RODEON ForensiScan Light are special systems adapted to the requirements of forensics. It allows to photographically record visible traces on any surfaces. Special attention is given to the securing of traces, such as fingerprints, on cylindrical objects such as glasses, bottles, brass, etc. The exact positioning of the object and the camera, and the completely automated scanning process allow a very productive workflow with outstanding results of high photographic resolution. This system already demonstrated it's performance, high-quality results and effectiveness in cooperation with law enforcement authorities. The object to be recorded can be either placed centrally on the rotary table, or fixed in in a central clamping device. The object can also be accurately fixed in the rotational axis with a centering pin from above. The camera position is set with the help of exact guidance and the optimal image section is set. The actual live view of the camera helps to easily set the camera and lens. Two LED lightings are especially adapted to the needs of a line camera and can be adjusted and locked in height and distance to the exhibit. The housing being easy to open at each side allows to further on use any successfully used lighting and types of lighting. Furthermore, additional lighting equipment can be installed at any time and anywhere afterwards for staying permanently in the device. The recording is been started from PC, and runs fully automated. The object is rotationally accelerated and gets scanned isogonic. Upon completion of the scanning process, the high-resolution mapping of the scan is immediately available. In this way, all visible traces are best possible equalized and ready for being used for further evaluation. Further traces or objects can be scanned like in an "assembly-line process". 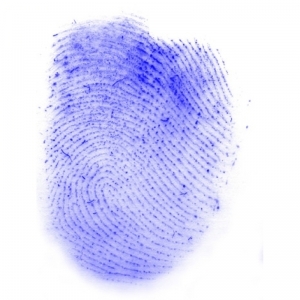 For more information about the RODEON ForensiScan, please contact us.